Crafty Texas Girls: Happy Easter! I hope you have a meaningful Easter weekend spent with family and friends. 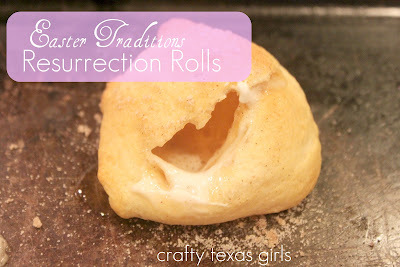 We will be baking Resurrection rolls and re-telling the Easter story with our eggs. Sunday we will all gather at my mom's house after church for a big meal and our traditional egg hunt. Print Your Own Verses and Pictures for Resurrection Eggs for FREE here. See the sweet and simple recipe for Resurrection Rolls here. 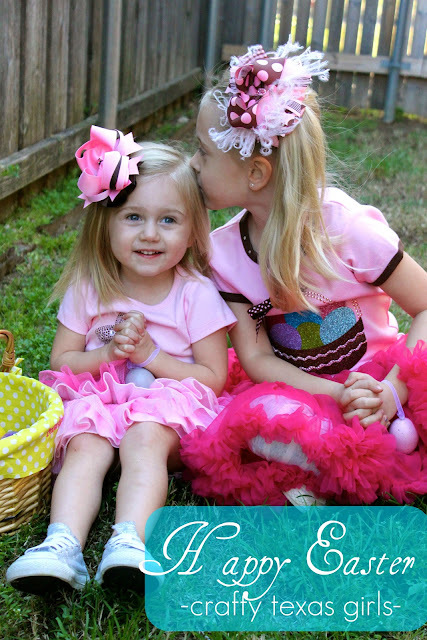 What are your plans for celebrating Easter this year? We will also celebrate Easter using the Resurrection Egg verses and eating Resurrection Rolls. I got the idea from you last year and now it is a tradition!